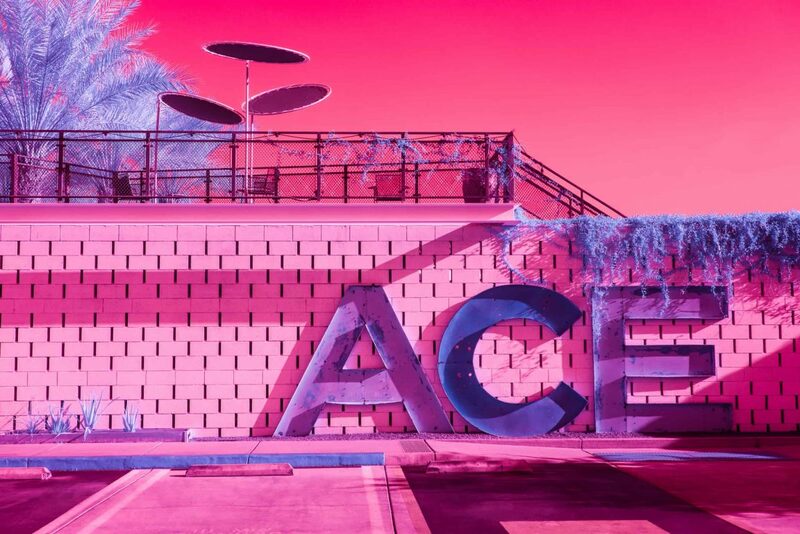 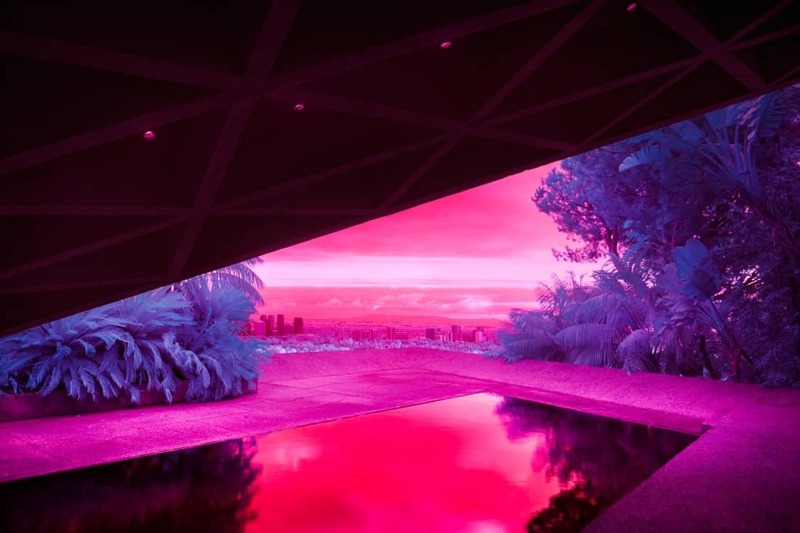 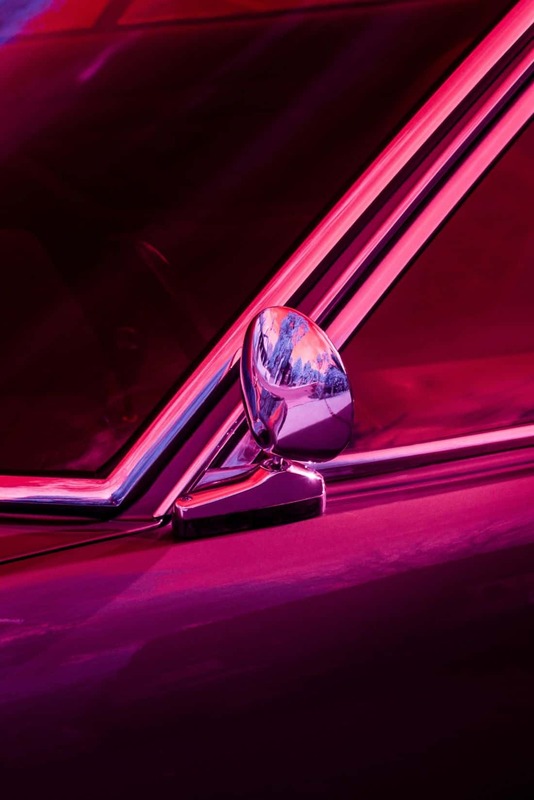 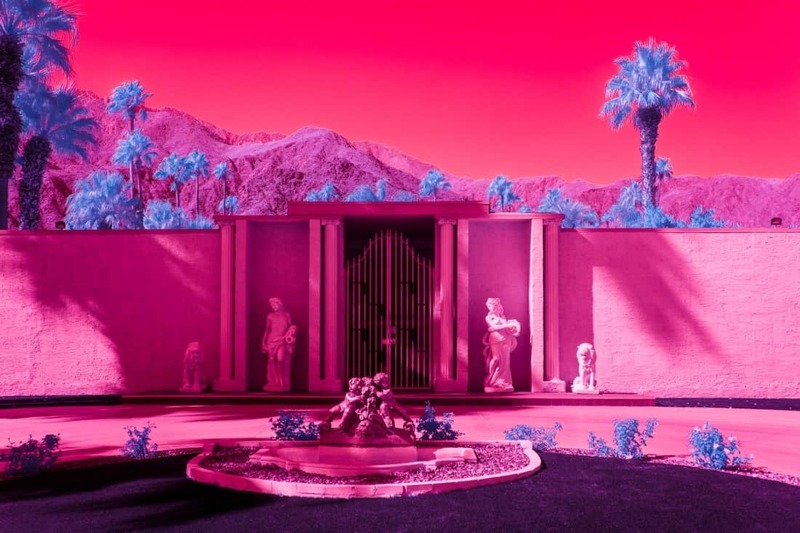 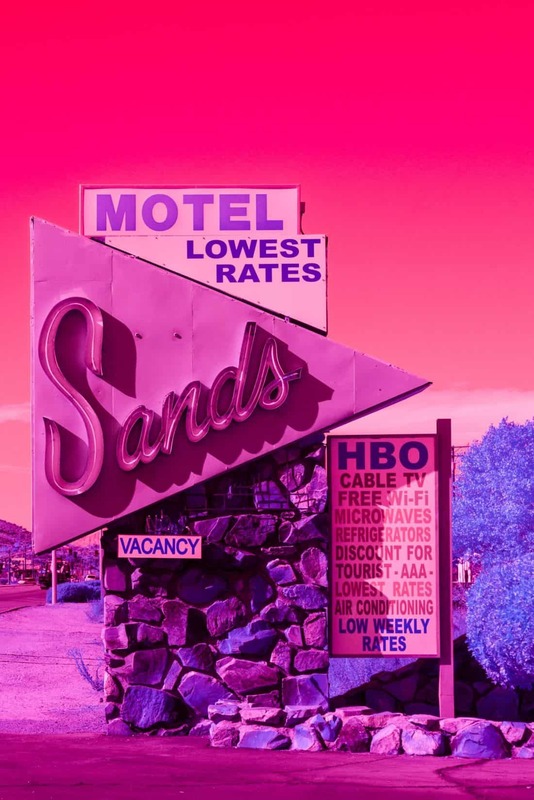 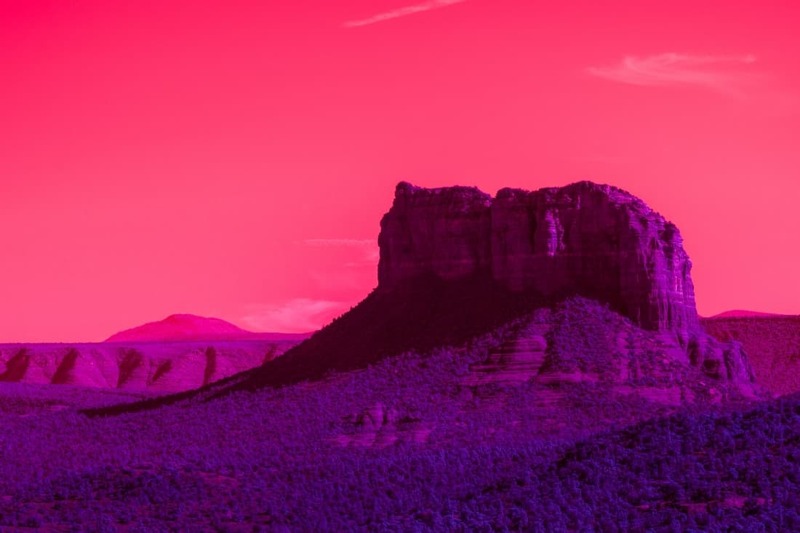 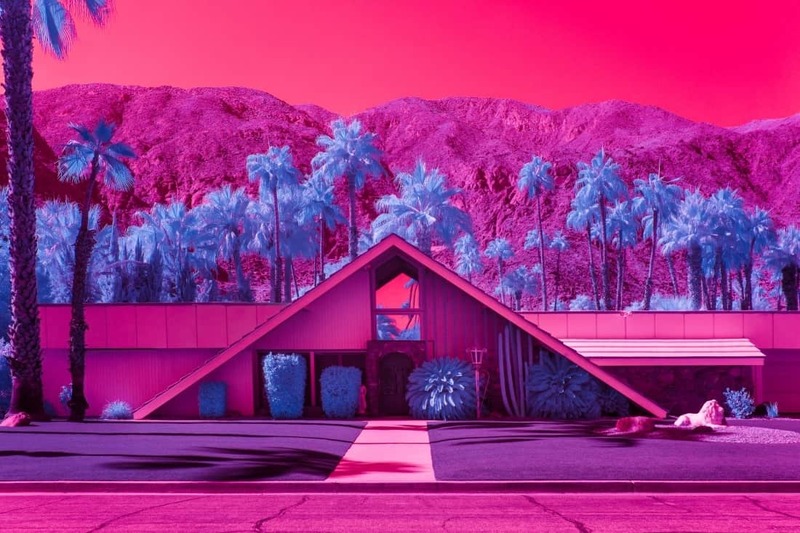 Inspired by Richard Mosse’s groundbreaking infrared documentary collection, Infra Realism by Kate Ballis features powerfully alluring photographs that transform familiar southern California archetypes — modernist architecture, pools, vintage cars and desert scenes — to otherworldly candy-colored dreamscapes. 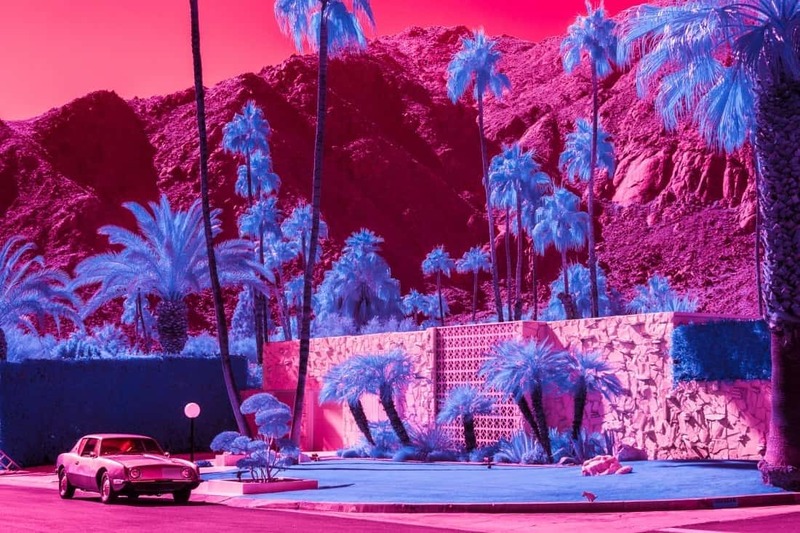 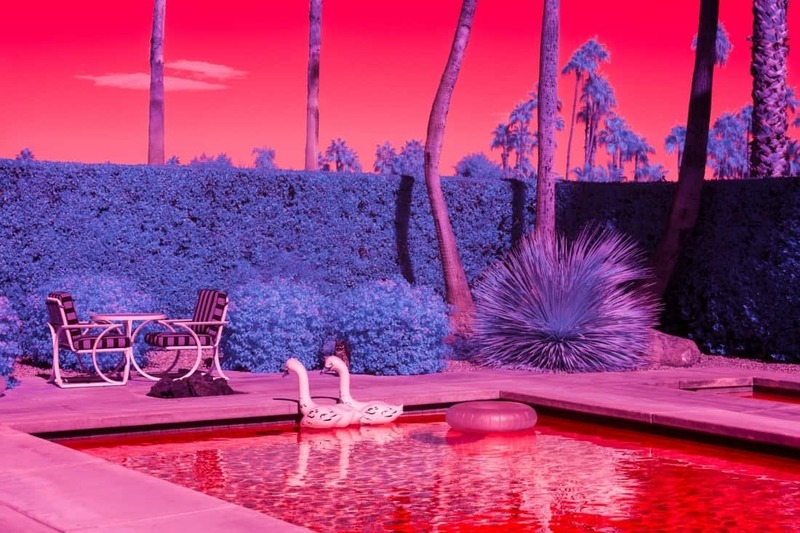 Shot with a specially constructed full-spectrum mirrorless camera using numerous infrared filters, the Melbourne-based photographer reimagines legendary Palm Springs places, like the Ace Hotel & Swim Club, the Palm Springs Tennis Club and the Parker Hotel, as a surreal world where succulents and palm trees are depicted in vibrant colors of blue, sky are a vibrant magenta, and swimming pools blood red. 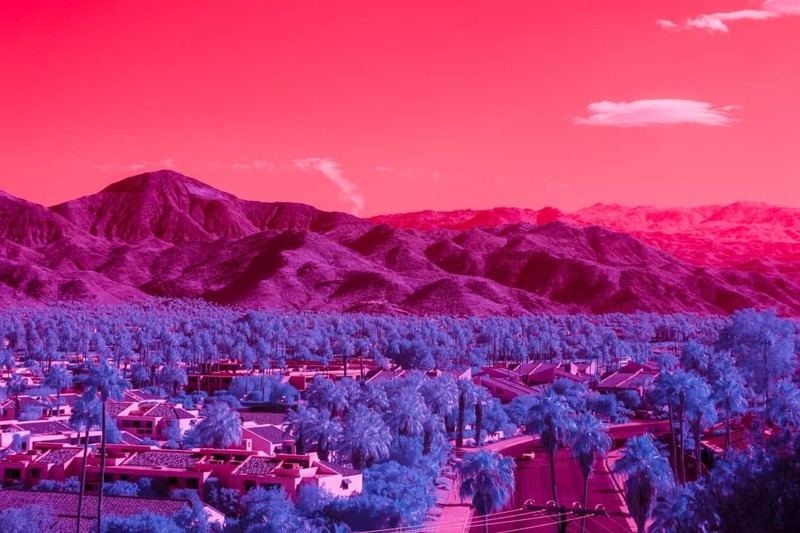 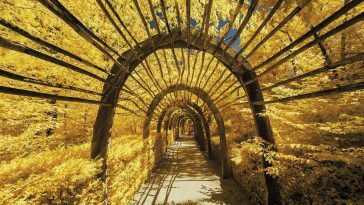 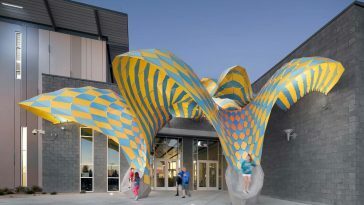 The contrasting, high-spirited colors illuminate the textures of the lush foliage which once blended into the desert landscape. 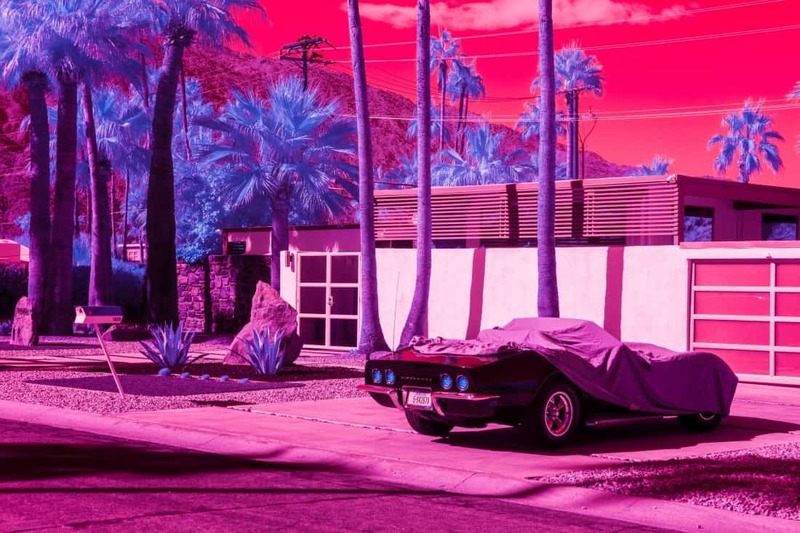 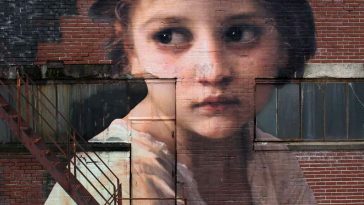 The hyper-saturated images subvert the desert city’s previously muted landscape into strangely alluring, joyously alive technicolor fantasias, making an unsettling ambiguity, an otherworldliness where we question reality and the world around us. 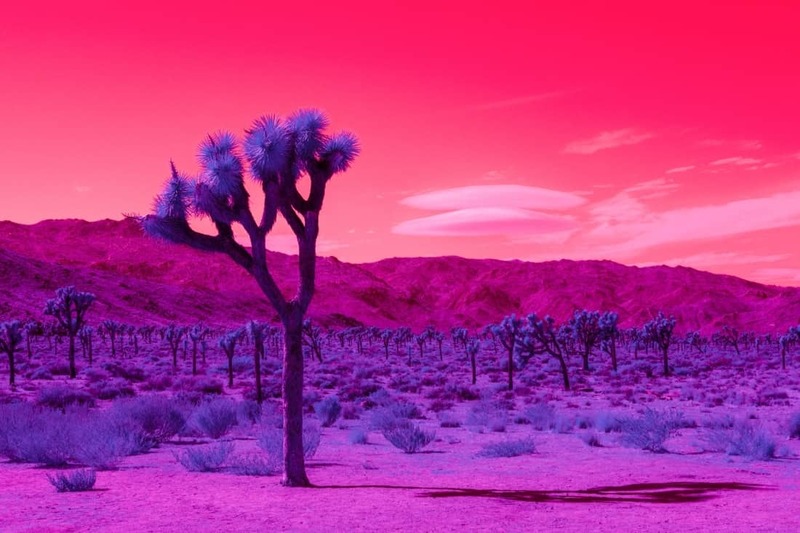 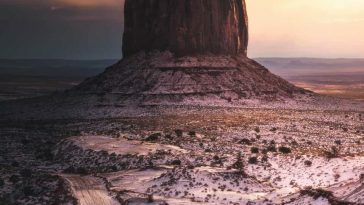 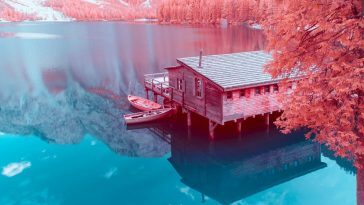 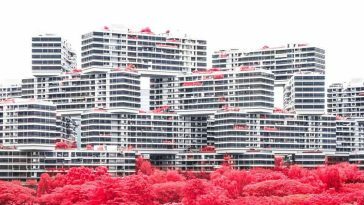 Making the unseen, seen, Ballis’s infrared photos offer a glimpse into the unknown, yet uninhabited distant planet or parallel universe, at once strange and familiar.